Life in a traditional village in Borneo is a bit different to life elsewhere. Some tribes live in longhouses with communal outdoor space and divided homes for each family, all under one roof. Others live in detached homes surrounding a longhouse used for gatherings and honoring tradition. Elsewhere, people live in homes like any others yet the communal spirit remains strong. We’ve selected two homestay experiences in Sarawak, one in Sabah, and a farmstay option in Sabah where a family of four can have a house to yourselves and visit the local village. Each option is a unique and authentic way to learn about life in Borneo. A countryside farmstay in the Kiulu Valley with cultural activities and home-cooked meals. 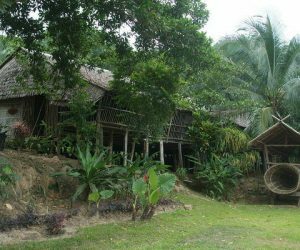 A traditional Rungus longhouse near the Tip of Borneo with simple accommodation in the village of Bavangazzo. 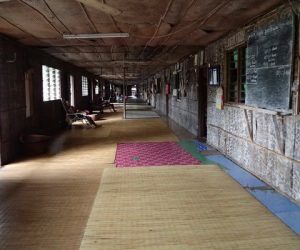 In the village of Mongkos south of Kuching sits this longhouse. Stay in a simple detached homestay with a family. Visit the former headhunters of Borneo, the Iban people, on the shores of Batang Ai Lake. You'll stay in the longhouse itself, a guest of the resident families.